By default, new deals added to DealMachine will repeat every 21 days. It's crucial to send repeat mail because finding deals is all about timing. You need to be on the seller's mind when they're ready to sell. If you want to change the schedule of your repeat mail or turn it OFF, there are TWO THINGS you will want to adjust. DEFAULT REPEAT MAIL SETTING. This setting applies to all future deals (not existing deals). This can be found in your settings. BULK ADJUST EXISTING DEALS. 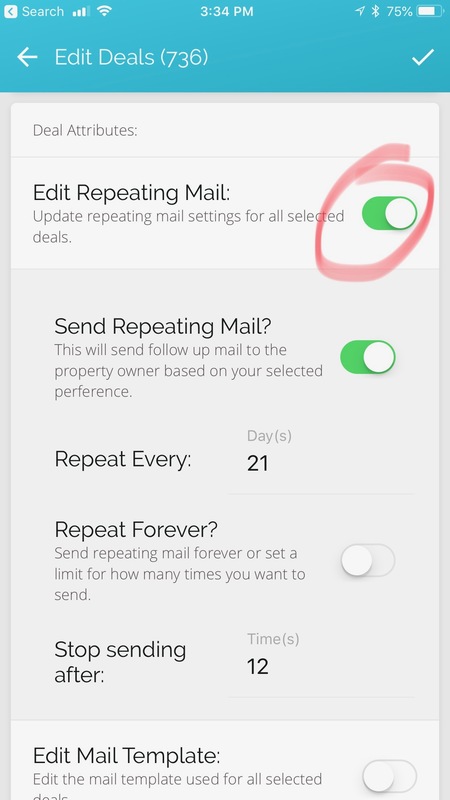 If you already added deals to DealMachine, and you want to change their repeat mail settings, you'll need to bulk adjust them. To bulk adjust deals, FIRST click the Filter Icon at the top of your Deal Dashboard. SECOND, Filter By Deal Status: Repeat Mailing On. Click the check mark to apply the filter. THEN, click the three dots button in the top right of the screen. Click Select All Deals. That will bring up the Edit Deals screen. IMPORTANT: if you only want to change a handful of deals, ignore everything I just said, go back out to the Deal dashboard. And start by clicking the THREE DOTS button in the top right. Choose select deals. 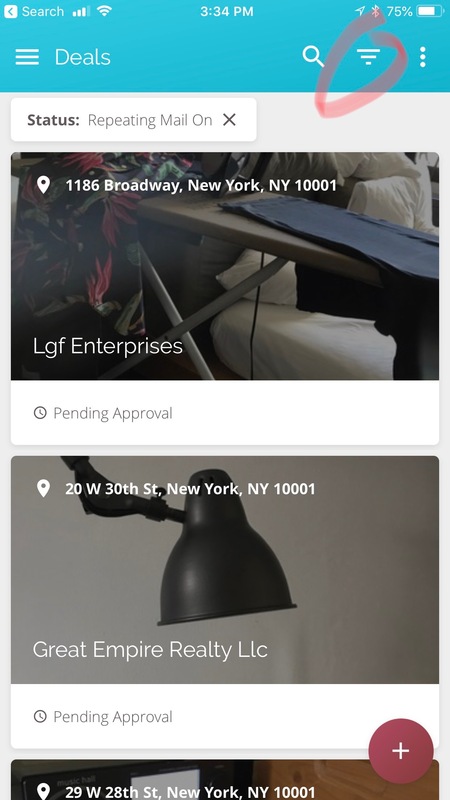 This will let you select individual deals to edit. When you've selected the deals you want, then proceed to click the Edit Deals button. TOGGLE ON "Edit Repeating Mail." Adjust the settings. Click the checkmark to apply the changes.